This gorgeous Silver & Brass Long Pendant Made in Italy Collartz was hand made by Valentina Laganà. 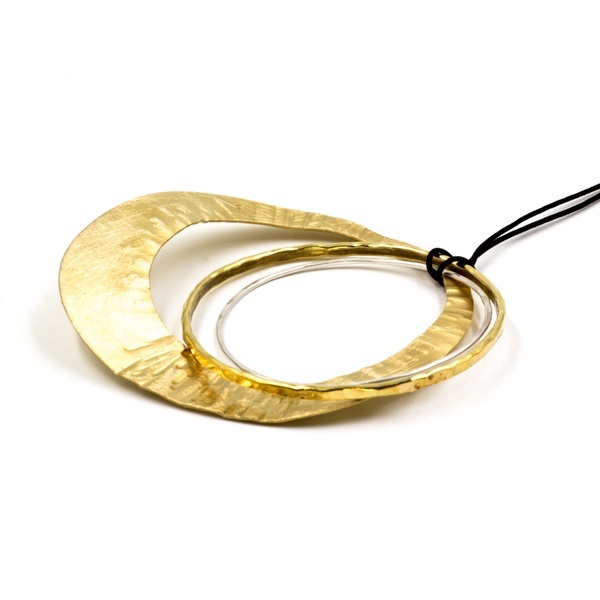 It is a three circles Silver & Brass donut pendant, with an irregular shape and two circles. 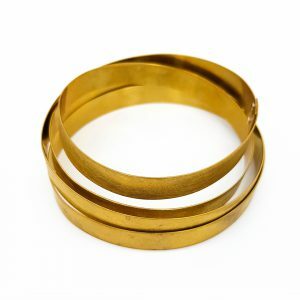 It has a diameter of 8 cm and can be worn long or around your neck. The Silver & Brass Long Pendant Made in Italy has a donut shape of 8 cm, is made of 3 mobile rings , one silver, the others hammered brass. 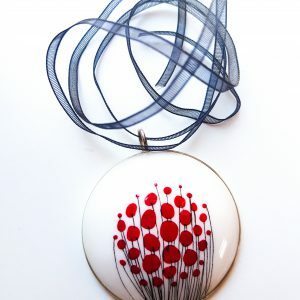 This Donut Pendant Collartz was handmade by Valentina Laganà, a Sicilian artist based in Turin. 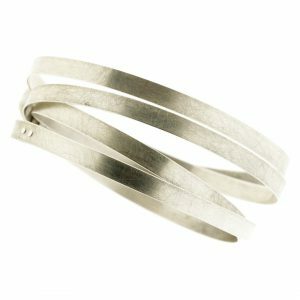 Valentina designs contemporary jewels with her unique personality, elegance and beauty. Just like the whole Copper Collection, this Silver & Brass Donut Pendant combines the strength of Copper with the elegance of Silver, alternating full and emptiness in an ephemeral jewel. 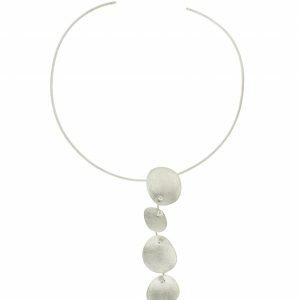 The Silver & Brass Pendant moves along with you, with lightness and elegance. This version of the Pendant gets its inspiration from the Ancient Etruscan and Roman jewels. Thanks to its black adjustable cord, the Silver & Copper Pendant adapts to every styling and neckline, turning us who love and appreciate Beauty even more irresistible.